The class pass allows you to drop in for any class of your choice in the given timetable except Kids Yoga and Prenatal Yoga. The Monthly Unlimited Class Pass can only be used for the month purchased and is non-transferable. 12 Class Pass must be used within 6 weeks of Purchase. 8 Class Pass must be used within 4 weeks of Purchase. Call on 9867455009 to sign up today. Raveena has been practising Ashtanga Vinyasa Yoga for the past 8 years. 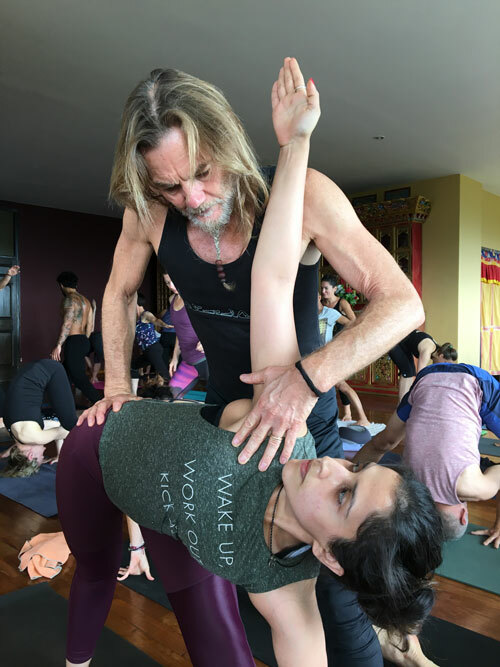 She received her Guru John Scott's blessing to teach the Primary Series of Ashtanga Vinyasa Yoga in September 2017. Since then she has been teaching the Ashtanga Vinyasa series with the Vinyasa Count focusing on breath, bandha and drishti. This class is suitable for everyone who wishes to be introduced to the Primary Series of Ashtanga Vinyasa Yoga and are looking to develop a beginners practice or for students who already have an existing practice and would like to develop it further. Seema Kazi Rangnekar is an internationally certified Childbirth, Pregnancy Fitness, Nutrition & Lactation Educator from CAPPA, USA. At her private practice – Samã Birthing & Beyond, she conducts pregnancy education, fitness & nutrition, lactation counseling and baby weaning sessions. She offers special Couples sessions for husbands as effective birth support partners and future parents. In addition to this, she offers Meditation & Visualization sessions for helping couples to prepare for Labor & birthing. Since 2011 Seema has worked with more than 1000 couples supporting them through their journey of parenthood. Seema certified as a HUG trainer, USA, helping parents to understand their new born. She has worked as a Birth Support Partner for clients at Hinduja Hospital, Khar, Breach Candy Hospital. She has conducted Antenatal care sessions for clients of Kokilaben Ambani hospital, Hinduja Hospital, Surya Hospital, Aarush IVF Maternity hospital and several others. Seema feels strongly about educating and supporting women during and after pregnancy. 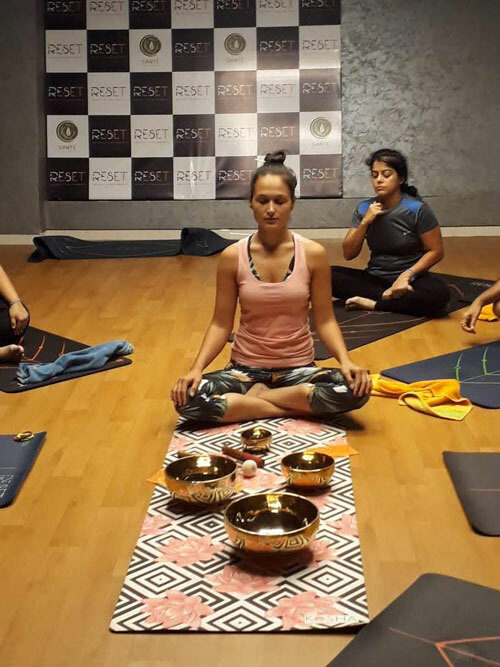 Her passion for Fitness & Nutrition alongwith a strong desire to empower pregnant mothers, her personal unique childbirth experiences made her realize the lack of knowledge and support during this delicate phase, which lead her to take up this profession. Since November 2015, Seema is a CAPPA Faculty teaching the Pregnancy Fitness & Nutrition program and since July 2018 she is also the CAPPA Faculty teaching the Childbirth Educator Program. Seema has two children, 10 years and 7 years old, the later being born naturally without any medical interventions. * Seema's Prenatal Yoga Class is sold as a separate membership of Rs 6,400/- for 8 sessions or Rs 1000/- for a drop in. Priti has done her Yoga Teacher Training Course from the Yoga Institute Santacruz. She has studied Ashtanga under Ramesh Shetty and Praveen Somu for a long time and has been a yoga practitioner since 15 years. 4 years ago she decided to take up teaching and is so happy with her decision. Join her for Hatha Yoga every Tuesday and Thursday at 11:15am till 12:15pm. By incorporating asanas, kriyas, mudras and bhawas in her classes she helps her students achieve strength, flexibility and inner peace. Her classes focus on alignment, breathing, awareness and mindfulness. 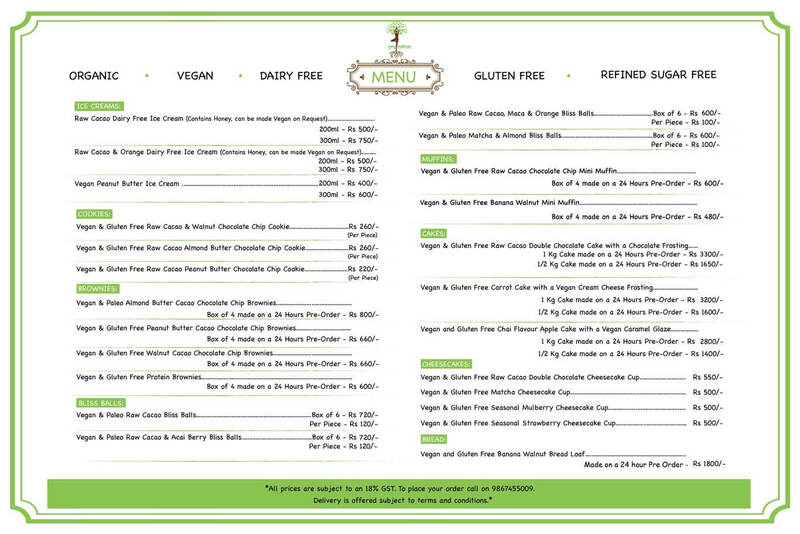 She believes in the healing power of one's own body and is also a strong advocate of natural living and organic foods. Chetna is a Healing Practitioner and Life Coach practicing Bio-Touch, Chakra Healing, PositiveAction Coaching and Oracle Card Reading. Her sense of reality and practical approach towards healing enables her clients to make changes and sustain healthy habits as they move through customised programs. 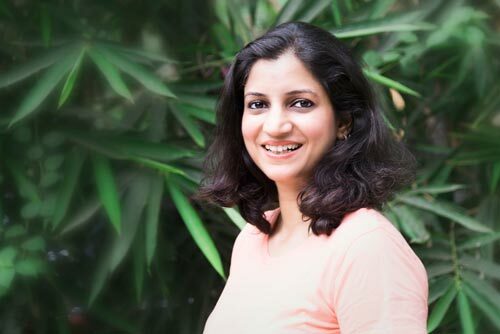 Chetna works with each client over a period of three to six months helping them heal their bodies, strengthen their minds and connect with their emotions. Her aim is to empower her clients with effective tools, be it physical habits, mindsets or emotional behaviour to live life to the fullest in alignment with their desires and highest good. Hiral Ruparel is a big kid at heart. If you head to her class you’ll find her animatedly smiling, and teaching kids yoga. Yoga began as a hobby, became a career, and a way to share her curiosity and marvel of life. She soon completed her QCI certification (Government of India) course as a yoga teacher from the prestigious Yoga Institute, Mumbai. Teaching kids yoga requires you to have all sorts of tricks up your sleeves, to make sure they remain engaged. She began looking for more avenues to hone her skills to teach kids. Thus leading her complete her international teacher training with Rainbow Kids Yoga, Singapore & Cosmic Kids Yoga, London. 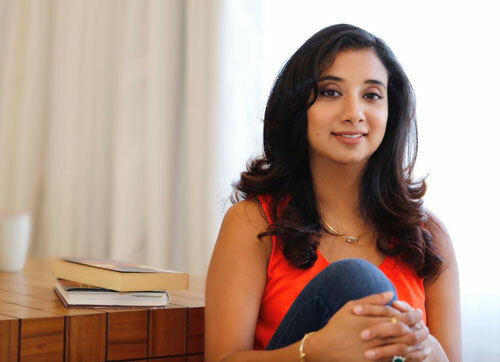 Her unique style of teaching yoga through, stories, games, dance and music has made her popular with kids and parents. Yoga through storytelling helps develop synchronization between the right and left brain thus creating a balance between creative and logical thinking. To improve, focus & concentration, she introduces mindfulness through games and activities. 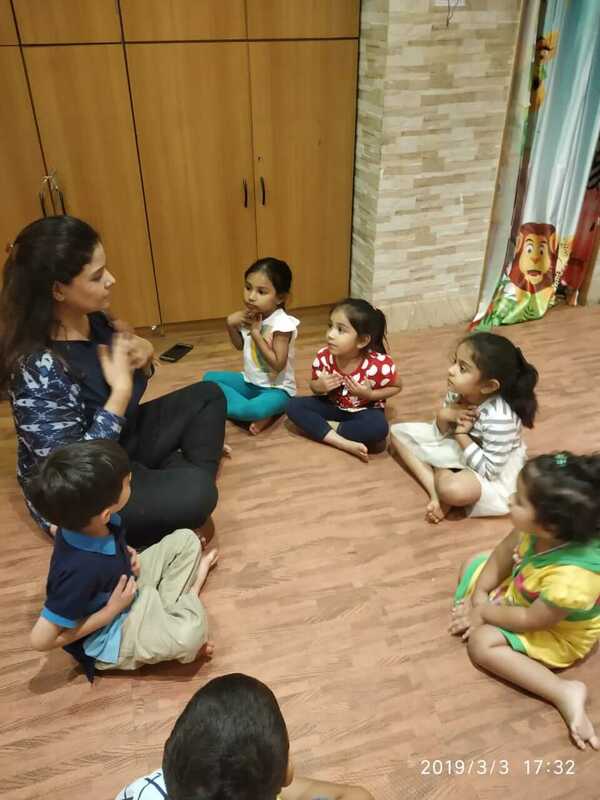 * Hiral's Kids Yoga Class is sold as a separate membership of Rs 5000/- for 8 sessions or Rs 750/- for a drop in. Shree Ganesh is a licensed yoga teacher & dance movement practitioner skilled in working with differently abled kids & adults, elder citizens, women from low income groups, cancer survivors, dancers, performing artists, theatre artists, actors & aspiring yoga instructors based in Mumbai, India. 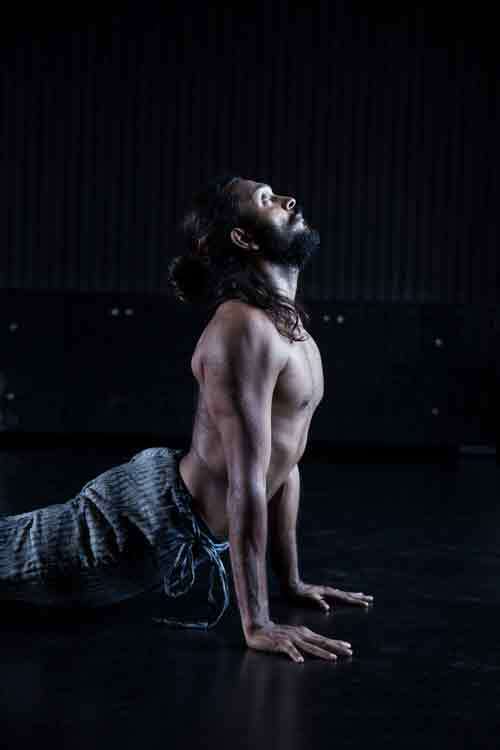 He will be teaching Iyengar inspired Classical Hatha Yoga focusing on body alignment, building strength & flexibility and bringing awareness in each breath. Each class shall end with either Pranayama or guided meditation. Join him on the Mat every Mon, Wed and Saturday at the Yogisattva Shala. Practising yoga since 2009, Bhavana completed her teacher training at the Sivananda Ashram in Kerala. She now continues to practice Iyengar yoga feeling a strong connection to the methods which encourage practitioners to perform asanas in a safe and effective way using the assistance of props. 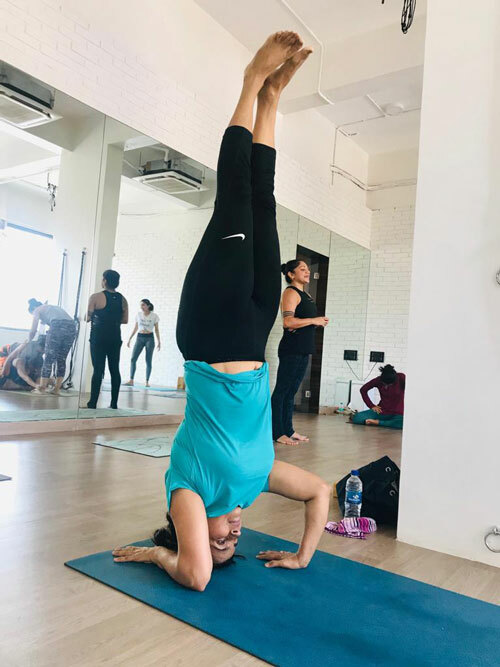 As a teacher, Bhavana's aim is to help her students to achieve correct alignment in each asana, learning the correct technique and use of equipment as per the teachings of B K S Iyengar. Her advanced knowledge of yoga, alongside her tireless self practice regime, has helped Bhavana to develop into an advanced and insightful teacher. Bhavana’s group classes focus on alignment and help students to explore and discover a wide variety of asanas in a safe and supportive environment. As a teacher her aim is help students to develop their practice and to strengthen their connection to the physical body. Her continuous precise instructions will not let your mind wander out of the class this bringing a neutral state of mind while working on the body and breath coordination. Classes are open to students of all ability levels, from absolute beginners to advanced practitioners.